Remember studying a language in school only to forget everything as soon as class was over? Not here in Costa Rica! 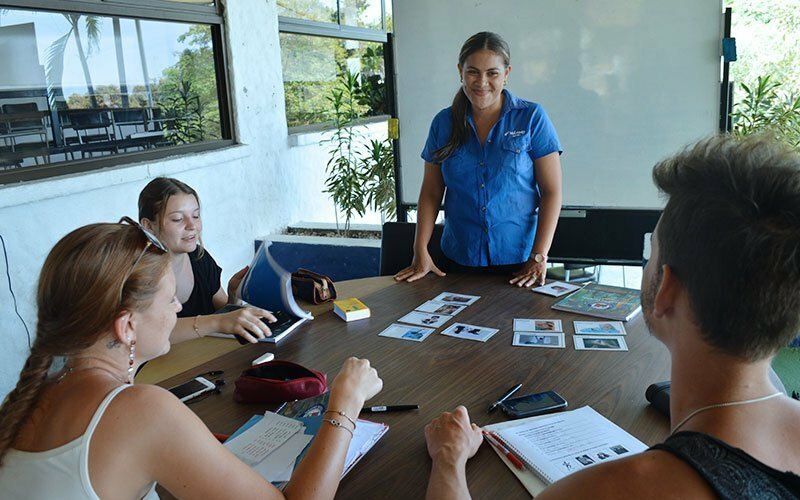 The Maximo Nivel Spanish immersion program in Costa Rica pushes you to apply your studies both inside and outside of the classroom. Your program is an authentic immersion experience with a certified instructor that you never forget. Come join us in the land of “Pura Vida” for a fun and intensive Spanish language program. For students from Germany, Maximo Nivel is Bilidungsurlaub approved. Very few Spanish schools can claim this prestigious German government recognition. 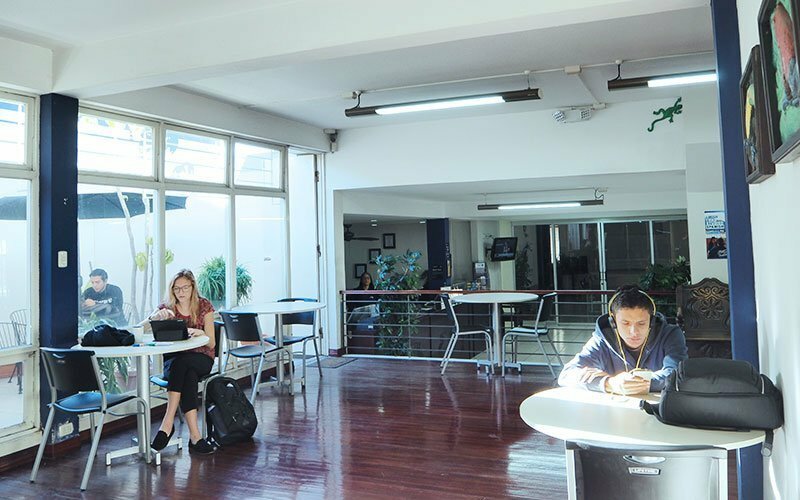 Both the San Jose and Manuel Antonio campuses offer large common areas and free coffee and tea to get you through your day; there are also salsa classes to prepare you for your nights! 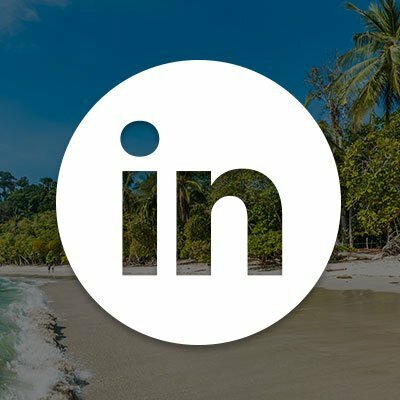 We offer a unique tandem conversation program where you’re paired with a local, Costa Rican student to practice your Spanish while they practice their English. You can also participate in cooking classes where one of our “Mama Ticas” shows you how to prepare traditional recipes using local ingredients. These extracurricular activities are conducted entirely in Spanish, which helps you acquire more language skills in less formal settings. At Maximo, you have lots of opportunities to make friends from all over the world and practice your new skills–be it Spanish, cooking, or your new salsa moves! Maximo Nivel’s Tandem Conversation program is a free, optional language and cultural exchange. As an international Spanish student you are matched up with a local student who is studying English at Maximo Nivel. Conversations are open, informal, and natural—taking the pressure off and allowing you and your tandem partner to bond and help one another move forward in your Spanish and English acquisition. This is a great way to meet new friends, develop your conversation skills, and increase your cultural understanding. The Tandem Program gives all participants unequaled access to the most important resource for learning a language—native speakers! I visited Costa Rica a year ago for three weeks and studied Spanish at COSI Maximo Nivel in Manuel Anotonio. I loved it so much that I returned this year to continue my studies and enjoy this beautiful country. My experience with the administrative staff and teachers has been fabulous and I plan to visit twice a year in the future. Thanks for everything! The Maximo Nivel institute is located in San Pedro–the university district of San Jose. The neighborhood offers a great student vibe and is surrounded by restaurants, gyms, and malls, as well as great nightlife with live music and dancing. The institute is only a short 10-minute bus ride from downtown San Jose, which offers all the amenities of a large capital city, including museums, parks, markets, plazas, and theaters, as well as plenty of shopping. 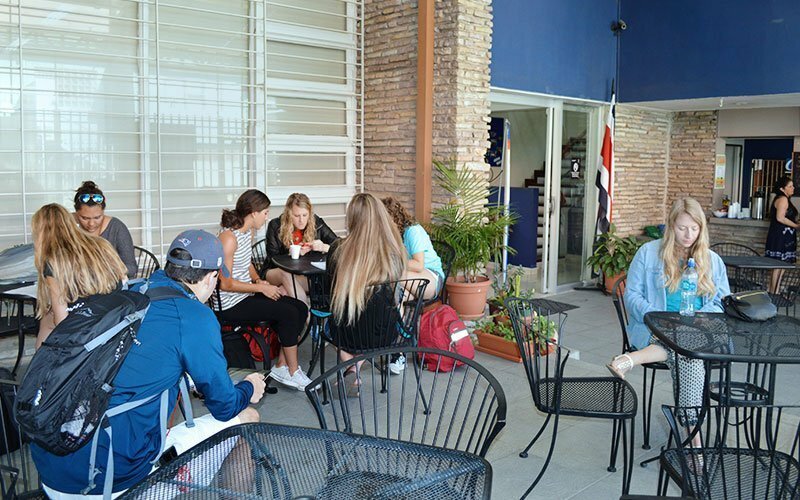 The school and campus have very nice indoor and outdoor study areas and serve as a great meeting place for our international students studying Spanish, as well as our local students studying English. It is a great home base to get to know other people, plan activities and practice your language skills. The school has 15 classrooms, a computer lab, an open air snack bar, and large common areas. The institute is available for you to use 7 days/week, including holidays. 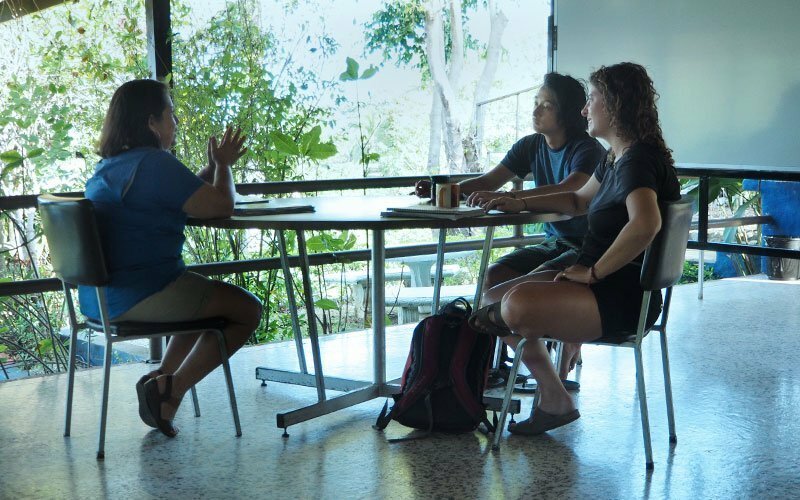 The Maximo Nivel school and campus in Manuel Antonio lets you study amidst the natural beauty of the rainforest and white sand beaches that only Costa Rica can offer. After class, you can escape to the beach which is just minutes away via bus or on foot. And just down the road, is the quaint town of Quepos with lots of shops and local restaurants, a large marina, and an open air market on the weekends. The school is a single story building with 13 open-air classrooms and 2 enclosed air-conditioned classrooms. In true “pura vida” fashion, the terrace overlooks the clear blue waters of the Pacific coast. 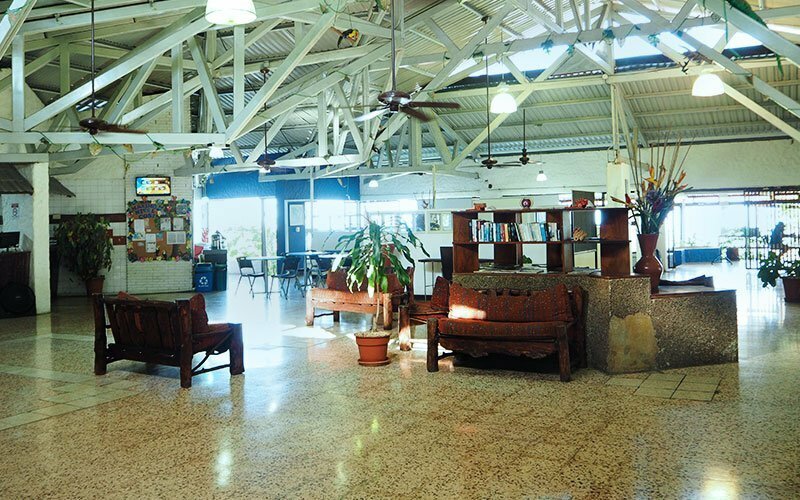 The common areas have a beachy-breezy feel, and include both indoor and outdoor spaces, a snack bar, and a computer lab. The institute is open 7 days/week including holidays. 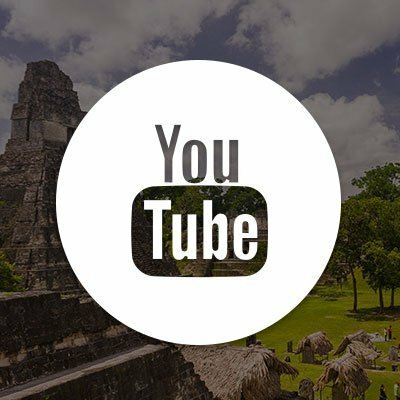 Costa Rican Spanish has a unique style, accent, and vocabulary. Studying Spanish in Costa Rica means you become familiar with the common terms, and formalities of “Tico talk.” You quickly learn that “mae” replaces “dude” or “bro,” “vos” replaces “tu” and “pura vida” can replace just about anything! The more formal “usted” is commonly used across all ages in Costa Rica, whereas in most other Latin American countries, “usted” is only used when speaking to an elder or in a formal setting. 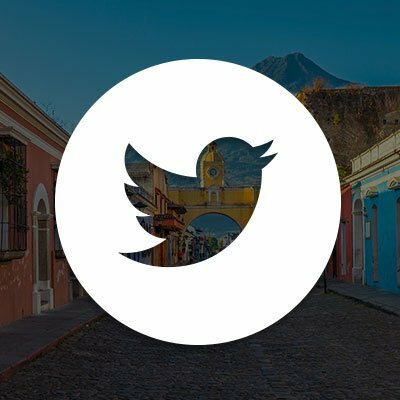 Those who have taken Spanish courses in the past may not be familiar with the common use of “usted” and “vos,” but no worries–Maximo Nivel’s immersion program has you speaking like a Tico in no time. The Costa Rican people are accustomed to international visitors and are always happy to welcome you into their country. 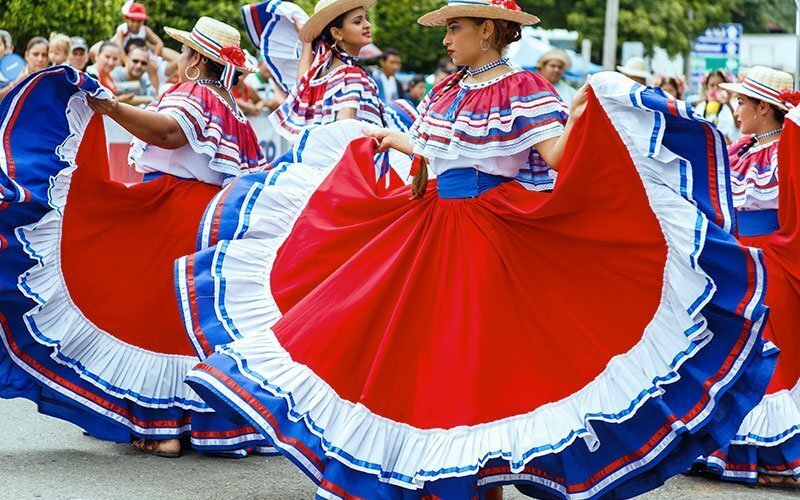 Typically speaking, Ticos are respectable, fashion-forward people more interested in spending time with family and friends than wild nights out on the town. However, there is no problem finding young people and students mingling together at the local bars and clubs. Ticos are friendly and open, and love giving directions to just about anywhere. Come get lost in the culture, but not in translation, as you learn Spanish in Costa Rica! 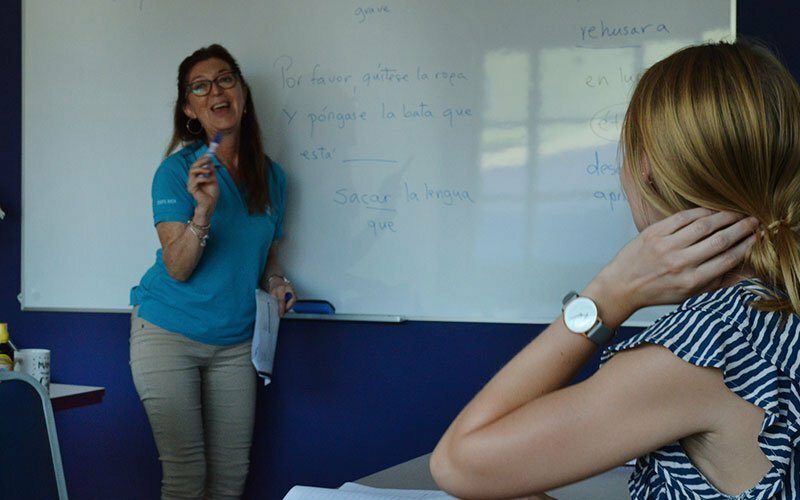 From small group classes ranging from 2-8 people to private classes tailored to your specific needs, Maximo Nivel provides quality immersion programs lead by certified, native Spanish instructors. If you are looking for a university Spanish course or super intensive program, all levels and various subject areas are available, from basic to advanced topics. Pair your Spanish program along with accommodations in a host family, and you can be sure to quickly move up the learning ladder. Maximo Nivel offers a wide variety of university Spanish courses ranging from 100 to 400 level courses. These programs may be grouped or 1-on-1 private lessons. University courses are 60-80 hours and require 3-4 weeks to complete in order to earn academic credit. Spanish for Special Purposes (SSP) includes courses in Medical Spanish and Spanish for Business. SSP teachers are some of our most experienced instructors and have additional expertise in Business and Healthcare. 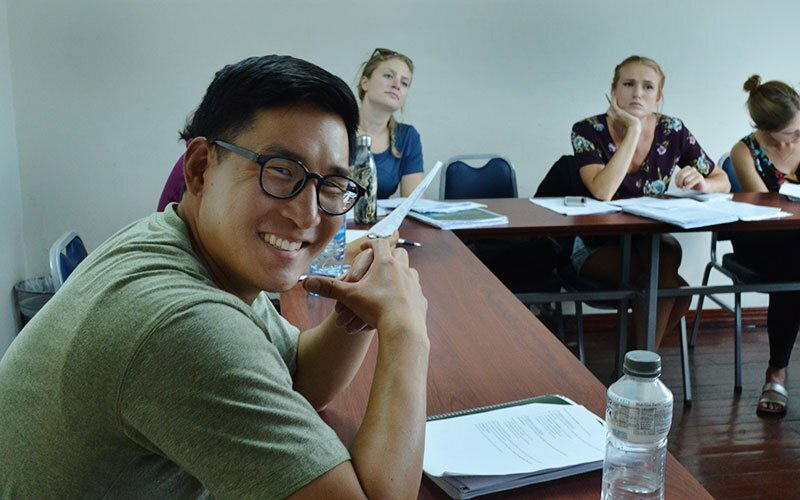 SSP programs are intended for medical students, traveling doctors and nurses, and business people who need specialized Spanish for their careers. SSP Classes are best taught in a 2-hour per day format. Since 1994, the Costa Rica Spanish Institute (COSI) has provided the leading Spanish language immersion programs in Costa Rica. 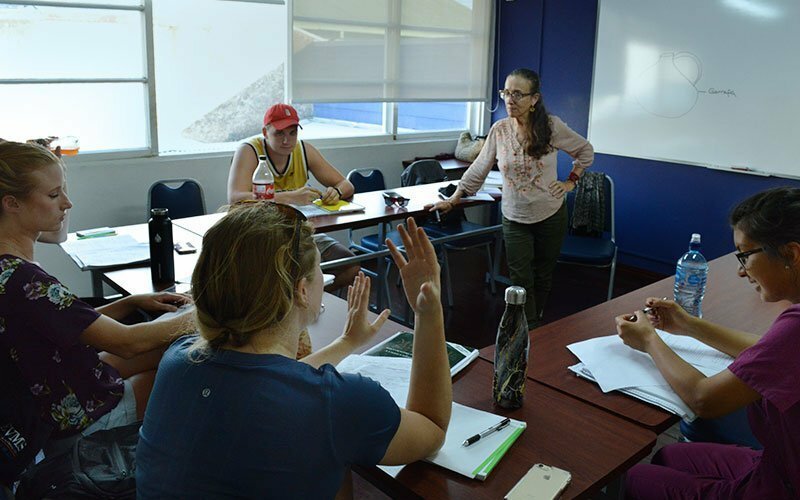 For more than 20 years, the COSI Spanish programs have offered the unique opportunity to study Spanish abroad in the bustling university district of San Jose and in the tranquil seaside town of Manuel Antonio overlooking the Pacific coast. 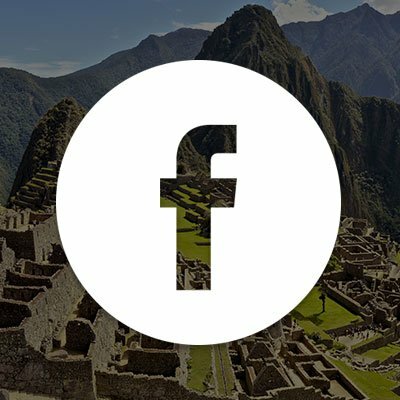 In 2013, COSI merged with Maximo Nivel and since then the two organizations have coordinated their Spanish abroad programs and their 2 separate websites are now unified under the Maximo Nivel name. 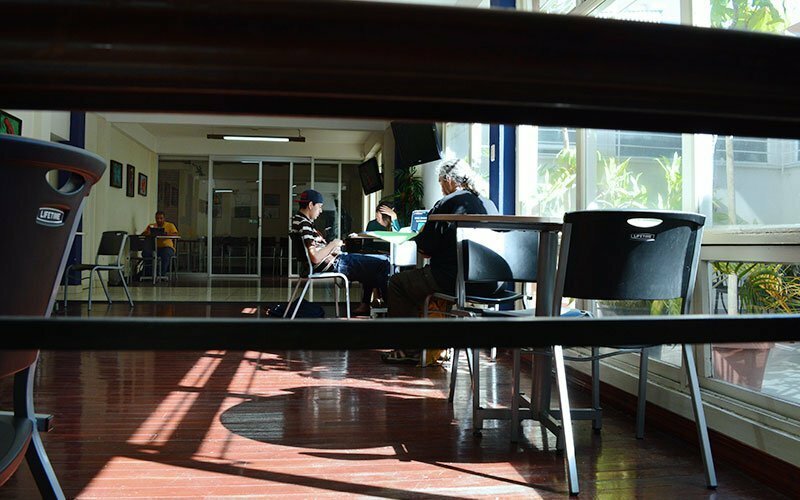 The joint COSI-Maximo Nivel organization has aligned its goals to provide better client service and improved academic tracking. 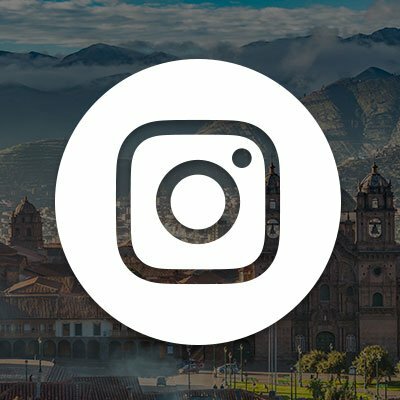 It has been an excellent partnership over the years, with Maximo Nivel bringing its very successful volunteer abroad and international internship programs to COSI students. This has significantly extended the Spanish abroad program to include community service and international work experience—directly contributing to the personal, academic, and professional goals of our international students. 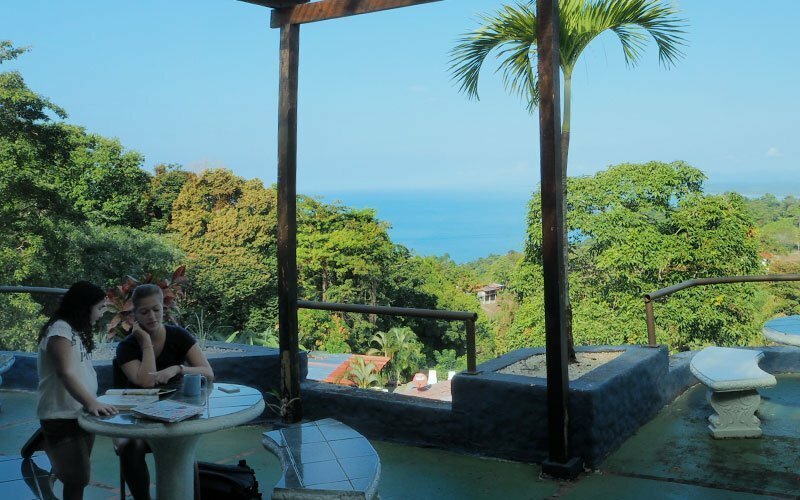 Ready to Learn Spanish in Costa Rica?